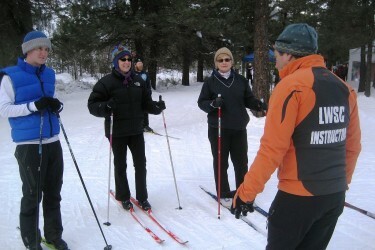 Ski for free at the Icicle River Trails on Jan. 13th. Come give Nordic Skiing a try! Used to be Ski for Health event and its now Ski 4 Free Day! Check in at the LWSC welcome tent to sign in and get your free day pass! Instructors will be available for free 20 minute mini lessons from 10am - 1pm (Lessons will be booked day of the event). Beginner and Intermediate Classic as well as Beginner and Intermediate Skate will be available. No rentals onsite - Click on the button below to print a coupon, good for 20% off your XC Ski rental at Arlberg Sports Haus (Leavenworth shop only) as well as at Der Sportsmann, only good on Sunday, January 13th.